Nearly a year ago now the Cambridges were in the midst of finishing up their Asia tour. 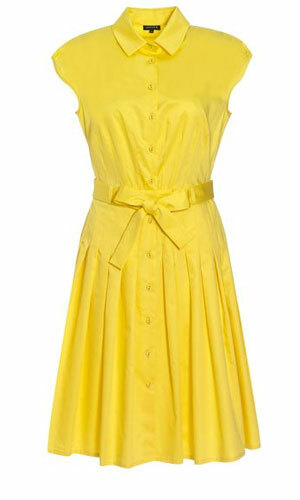 One of their last stops included a visit to the Solomon Islands, where Kate debuted this bright yellow shirt dress from Jaeger. 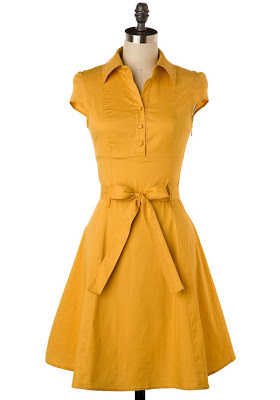 The dress features a collar, gathered cap sleeves, button-up bodice, self sash at the waist, and a drop-waisted pleated skirt. I really like this look on her, I love her in bright yellow. Although I don't like how the dropped waist flattens out her already slim hips from certain angles, I do like Kate in a fuller silhouette. The cotton dress is from British luxury brand Jaeger and although now it is out of stock, it originally retailed for approximately £180, or about $278 U.S.D. That's a pretty penny for a fairly simple cotton dress! Jaeger yellow shirtdress via Grazia. I know I already did a half-post on this dress, but I realized that I hadn't properly catalogued it and also I happened upon this pretty good dupe so I figured I'd get around to giving this item its own post. This repliKate from ModCloth is pretty spot on as far as the bodice and sash. The half-cap sleeve is actually spot on since Kate's version the same style of sleeve. The skirt and waist are a bit different and it doesn't button down all along the front but I actually think this type of silhouette would actually have been more flattering on Kate and is more universally flattering. This dress retails for approximately $44.99 U.S.D. which I think is much more reasonable for a cotton frock. 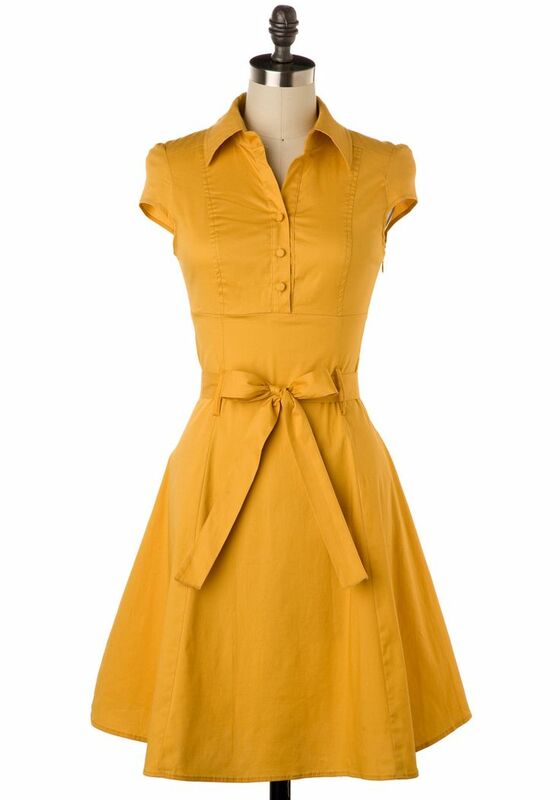 Soda Fountain dress in Ginger - via ModCloth.